Ethanol: Long-Held Misunderstandings - Auto Fuels, Inc. The first commercial flexible fuel vehicle was the Ford Model T, produced from 1908 through 1927. It allowed gasoline or ethanol fuel, or a combination of both. Ethanol took a bad rap caused by frequent accusations that ethanol producers collaborated with bootleggers during Prohibition. But then something changed–oil dominance as a motor fuel lost some footing in the U.S. after the 1973 oil crisis, which resulted in gasoline shortages and awareness on the dangers of oil dependence. This crisis opened a new opportunity for ethanol, methanol and other alternative fuels. Ethanol fuel (ethyl alcohol) is the same type of alcohol found in alcoholic beverages, but used as fuel. It is most often used as a motor fuel, and mainly as a biofuel additive for gasoline. Nowadays, cars are actually able to run using 100% ethanol fuel, or a mix of ethanol and gasoline (flex-fuel). 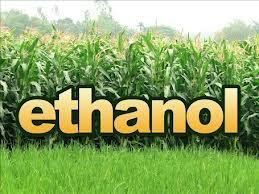 Ethanol is commonly made from biomass such as corn or sugarcane. Bio-ethanol is produced from very common crops such as hemp, sugarcane, potato, cassava and corn. There has been considerable debate about how useful bio-ethanol is in replacing gasoline, as its production has been correlated with increased food prices due to the large amount of land required for crops. Recent developments with cellulosic ethanol production may alleviate such concerns. Cellulosic ethanol offers promise because cellulose fibers, a major and universal component in plant cells walls, can be used to produce ethanol. According to the International Energy Agency, cellulosic ethanol could allow ethanol fuels to play a much bigger role in the future. GREET, DOE, and EERE. What Does It All Mean? Let’s start by clearing up the acronyms. GREET = Greenhouse gases, Regulated Emissions and Energy use in Transportation (developed by Dr. Michael Wang, Argonne National Laboratory’s Center for Transportation Research). DOE = U.S Department of Energy. EERE = The DOE’s Office of Energy Efficiency and Renewable Energy (they supported Dr. Wang in his development of GREET). petroleum use and greenhouse gas emissions. In terms of key energy and environmental benefits, GREET testing shows that cornstarch ethanol clearly outpaces petroleum-based fuels, and that future cellulose-based ethanol would perform even better. Every 1 million BTUs (British thermal units) of ethanol delivered consumes 0.78 million BTUs of fossil energy. Every 1 million BTUs (British thermal units) of gasoline delivered consumes 1.23 million BTUs of fossil energy. Many studies have been done, some with differing results, although the preponderance of recent studies that employ more stringent testing methods show that ethanol has a positive net fossil energy value. GREET’s lifecycle analysis shows that any type of fuel ethanol can help to reduce petroleum use in the transportation sector. 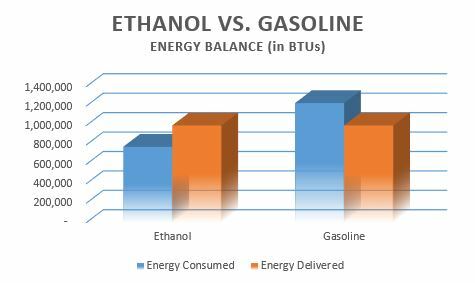 But without a comparison of ethanol to gasoline, a meaningful result can not be achieved. It is only when we see the comparative differences provided by the GREET testing that we realize the superior effiency of ethanol. Further, without the comparison (which in itself is favorable), it would not show the substantial petroleum savings benefits of ethanol (which may be the greatest energy concern). Add to this that corn-based ethanol achieves moderate reductions in GHG emissions, cellulosic ethanol (the focus of the DOE/EERE research) can produce much greater energy and GHG benefits. Auto Fuels sells ethanol in five gallon pales. 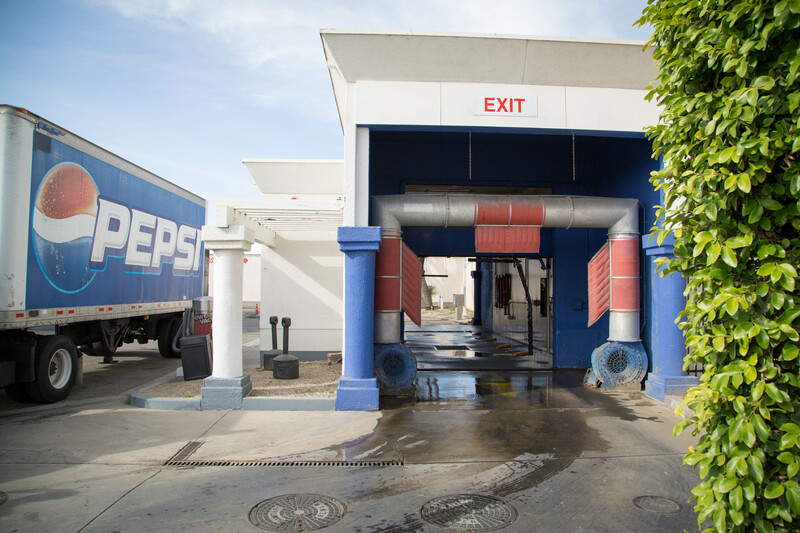 When you purchase any of our car washes (new limited time prices: $3.99, $4.99, and $5.99) you get a 20 cent discount per gallon on gas pricing. Save money on your car wash, save more with discounted gas pricing, and do it without waiting in long lines. Clearly a better option. Give us a try today! Discounts apply to gasoline pricing only (does not apply to diesel pricing).